A pair of CarPlay-related news reports is making the rounds this morning, one confirming the official release of the first aftermarket CarPlay systems from Pioneer and the other announcing an updated Spotify application for the iPhone and iPad with built-in support for Apple’s in-car platform. As announced back in April, CarPlay is now available as a software update for Pioneer’s existing 2014 in-dash multimedia systems, the $1400 AVIC-8000NEX, $1200 AVIC-7000NEX, $900 AVIC-6000NEX, $750 AVIC-5000NEX and the $700 AVH-4000NEX systems. The company also announced a new $600 smartphone receiver, AppRadio 4, with CarPlay compatibility. “CarPlay enriches the iPhone experience in the vehicle by providing a safer way to access the iPhone features they want to use most while driving,” said Ted Cardenas, vice president of marketing for the Car Electronics Division of Pioneer Electronics (USA) Inc. 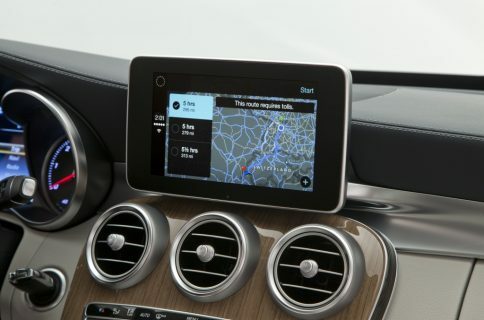 The AVIC-8000NEX, AVIC-7000NEX, AVIC-6000NEX, AVIC-5000NEX and AVIC-4000NEX each has an LCD screen and supports the full range of CarPlay functionality, including navigation via Apple Maps, music, Siri voice control for making and receiving calls, reading and responding to text messages and more. The receivers are available through authorized Pioneer Car Electronics dealers nationwide, including Best Buy, Crutchfield and Car Toys. The firmware updates can be downloaded via Pioneer’s support website. These in-dash multimedia systems offer a much cheaper option for folks who want CarPlay functionality in their older vehicles, as opposed to buying expensive cars with CarPlay integration, such as the new $300,000 Ferrari FF model. Apple previously told The Verge that Pioneer would soon start selling aftermarket CarPlay receivers.The official CarPlay website currently lists both Pioneer and Alpine as launch aftermarket CarPlay solutions providers. Clarion, too, will jump on the CarPlay bandwagon later this year. 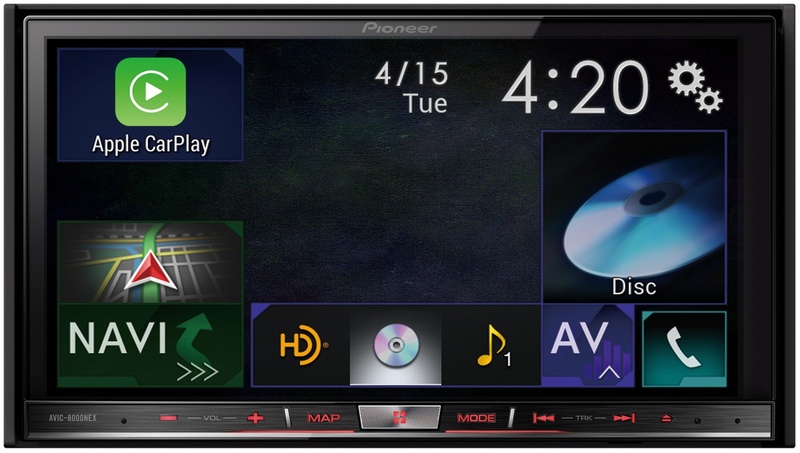 As for Pioneer’s new AppRadio 4 unit (SPH-DA120), it’s coming soon featuring a 6.2-inch WVGA touchscreen with built-in support for both Mirrorlink (if you don’t have an iPhone) and Apple’s CarPlay. Pioneer made a little video showing off CarPlay in action. “Pioneer’s CarPlay-compatible in-dash receivers enable consumers to upgrade the vehicles they already own to the smarter, safer and more fun way to use iPhone in the car,” the firm noted. More information about Pioneer’s CarPlay aftermarket solutions is available here. Rival Alpine’s own $500-$750 aftermarket CarPlay kits are arriving later this Fall. CarPlay requires an iPhone 5 or newer and iOS 7.1 or later. Availability is dependent on regional restrictions. In terms of music, CarPlay supports several music apps, including iTunes Radio, Beats Music, iHeart Radio, CBS Radio, Spotify and more. Speaking of Spotify, their free iOS client was refreshed Thursday with support for music streaming in your vehicle. Last month, Spotify gained support for Ford’s Sync AppLink platform. 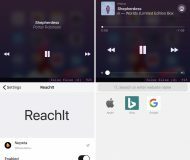 New: Now supports Apple CarPlay! Play Spotify in your CarPlay equipped vehicle. Just connect a compatible iPhone. New: Spotify can now speak Swedish, and Québécois on iOS 8. Spotify is available free in the App Store and requires iOS 6.0 or later.